1 - 4 - Are pre and postnatal neuronal and synaptic pruning a diminution of our mental faculties? Or, to the contrary, a need to avoid at our neurons a too great diversity of solutions as is case in the autism? The diversity of the solutions is not a handicap to the birth and in childhood, reason why the child opens with a greater diversity of solutions through a more flexible synaptic system. We could thus say that the child is more intelligent, more philosophical than the adult is, but actually, it more asks new knowledge, new cognitive maps, just like the fetus that seeks by there its means of survival. A little like preparing to receive this information of unknown sources, the brain sets up at the fetal state an excess of neurons and synapses to receive the very first cognitive maps. The more these cognitive maps allow association a known situation of the subject, the more the neurons and the synapses correspondents will be as insulated electrically by the white substance that is made up of axons surrounded by myelin (substance of nature lipidic and proteinic which acts as the insulating sleeve of a cable). These reinforced neurons, can thus survive more durably, because 60% of the neuronal and synaptic capacities to the birth undergo a programmed neuronal death called “Apoptose” before the adulthood. It is thus not after the birth that the number of our neurons is maximum, but between 4th and 6th month of intra-uterine life, in order to give us reactions stereotyped through two great stages “of pruning”, one antenatal, the other to adolescence. These neuronal pruning related to the modifications of the neuronal ramifications, are not a diminution of our mental capacity, but quite to the contrary an evolution of the neuronal selection referring to the cognitive maps acquired to the courses of the experiments passed. They so allow a better management of analyzes our, but especially of our feelings and spirits. 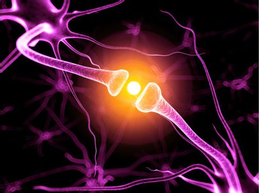 The strongest neurons and synapses naturally preserve their function to the detriment of weakest that die. If these prunings did not exist, it would be perhaps possible for us at the adulthood to go back almost concretely to the fetal state and why not embryonic… The major part of our cognitive charts would then be stored in our frontal lobe, which would became completely obsolete, since born from analyzes identical to those which would have generated it by the spirit, in the same relation of cause and effect. By analogy of feelings identical to our cognitive maps, we would be then unable to take any decision of human value. Our EQ (emotional coefficient) would become more or less linear, because entirely analyzed by two identical systems, our limbic system (brain of the paleo-mammal), and our neocortex (brain of the neo-mammal) without forgetting the small brain of the heart, which we will see later. Without differentiations of our sentimental emotions it would be indeed impossible for us to make a decision of human value even if our IQ (Intellectual coefficient) remained what it is today. This is what shows evidence of Professor David Servan-Schreiber in his book “Guérir”. In another field of neurological experiments, it is the absence of this phenomenon of neuronal pruning which generates the autism. It is also why this malfunction could be mainly prevented if it was detected early. Latest news: As we mentioned the last few years by pure intuition, in 2015 US studies tend to confirm the hypothesis that neuronal pruning problem would effectively be at the origin of autism.